You can't call him a new Atif Aslam or a new Ali Zafar. After singing 'Afghan Jalebi' in Kabir Khan's directorial Phantom, one can tell he's no run-of-the-mill Bollywood. 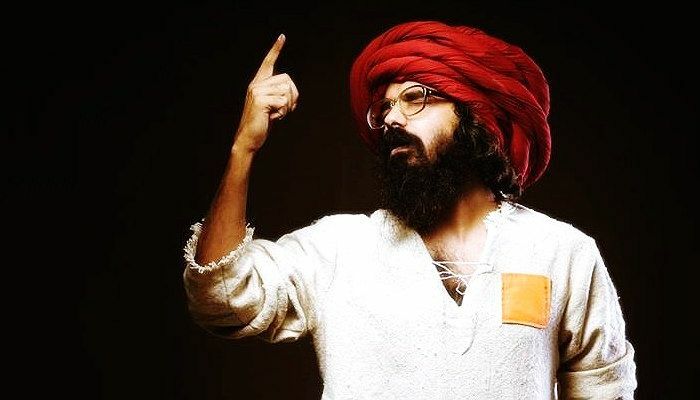 A Pakistani sufi singer, Syed Asrar Shah or Asrar, as he is popularly known, is rather passionate towards music, but not like anything you have heard before. Please tell us about your journey to Bollywood. It just happened. Pritam Da and Kabir Khan ji had seen me performing in Pakistani Coke Studio. And therefore, they thought that I am suitable for 'Afghan Jalebi'. 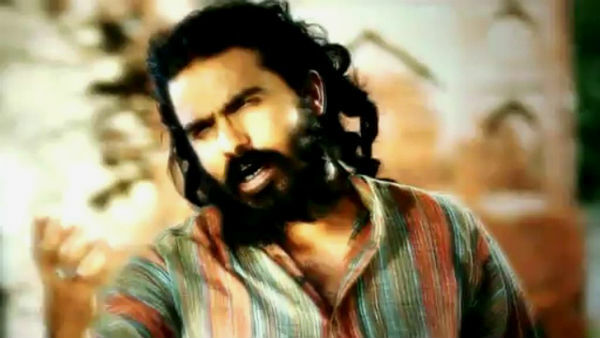 You won't believe that I didn't even know about actress Katrina Kaif's presence in the song. I just recorded it thinking of the girl who, I feel, stands at par with the beauty of the song. You have to have certain kind of associations with a song before getting into it. What made you accept 'Afghan Jalebi'? For me, it was already a big thing that Pritam Da and Kabir Khan ji had chosen me for the song. I like everything about this composition. But, if I were to tell you one, it was the way the song was written. I really liked its lyrics. How many times do you hear lyrics that praise a woman and don't objectify her? "Khwaja ji ke paas teri chugli karunga, anguthi me kaid teri ungli karunga..." - these are just beautiful. So when you say that it doesn't objectify women, what is that fine line between objectifying a woman and not objectifying a woman in a music video? Yes, there is a difference. But, it is subjective too. I always feel that when you are praising a woman for her beauty, you are also complimenting the creator, you are thanking that Almighty for creating something as beautiful as women are. Therefore, a song should always sound like a compliment and not molestation. One should always be careful with the lyrics, they can sound like a beautiful compliment or a loose comment as well. What response did you get from the makers of the song after you recorded it? An artist always knows what he wants from his product. So, when Pritam ji approached me, he had a very structured idea of how he wants the song to come out. He told me that enjoy the song, it's completely yours. And when I started recording it, I just went with the flow. I never expected that I would get into it so much. Pritam ji and everybody else seemed happy with it. You have your own production house -- Soul Speaks. Do you have any dream project or any association that you have been planning or waiting for long? When I started, I never thought I would come so far. I am born and brought up in a Syed family, where music is not considered a respectable profession. But, now when I see my father happily listening to my work, I feel proud. However, I don't see any dream project. I have no set goals. As long as I am happy communicating what I want, I am happy with I am doing. No motives, no goals, really? What if I tell you that I want to meet Lata ji? I would sound cliche, right? But, this is one of the biggest things that I want to do, then may be I will be able to say to myself that yes, I did something that gave me an opportunity to meet her. I start having goosebumps when I think about that moment. I mean there are many people, many big and respectable names from the industry who I want to meet. But meeting Lata ji is my dream...only if I don't sound kiddish to you. You have got a great fan-following for sure. Is there any incident with a crazy fan that you can recall? Not crazy. But emotional. Due to the look that I carry, people often think that I am Sikh and from India. Once, when I was deboarding a flight in Pakistan, a family came up to me. They asked me a few questions and then blessed me. And I felt such a transmission of pure bliss at that moment. You know, it is so difficult today to do something that let you cherish such pure blessings. It was one extremely precious a moment for me. So no female fan following for you? I always feel that girls would get scared of me. You know, I am like this messy bearded man who keep wandering from here to there. I don't think girls like such kind of men. 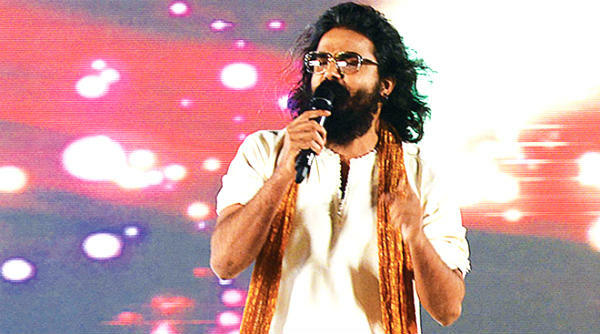 Do you fear competition from other singers that have already built a strong foothold in Bollywood? There is no concept of competition in my mind. I truly believe that every artist is blessed with a certain kind of creativity. And no one can take it from him/her. If you know how to polish you own domain, there's no way you are fearing any competition. There is a slight observation about your works. These often say something 'unsaid', something that is not very obvious. For example, in your song Ishq Hawa Main, you are explaining how love is not just what you see, you can find love in various other things only if one starts looking for it. Is there any inspiration behind such music? I told you that I am brought up in a family where music is not encouraged. I always think that things are just not what it seem like. I want people to know about the richness of music. Therefore, somehow, my work became an escape for me to communicate my feelings, as I told you that I was never encouraged to pursue music. And that's what I believe reflects in my music. Phantom has been banned in Pakistan. How has this affected you? (Laughs). I am doing my work. I don't think as an artist I should be having a large say in that. But, yes, a work of art knows no boundaries. If you have done a good work, it will bear fruits for you. I believe that if Pakistan is known for something other than you know what, then it is its soft power of music. We have produced such immensely talented artists. And if the aim is to give a positive message to people, why should this soft power be curtailed? I watched Bajrangi Bhaijaan and I loved it and I have no qualms in telling this to people at my land. 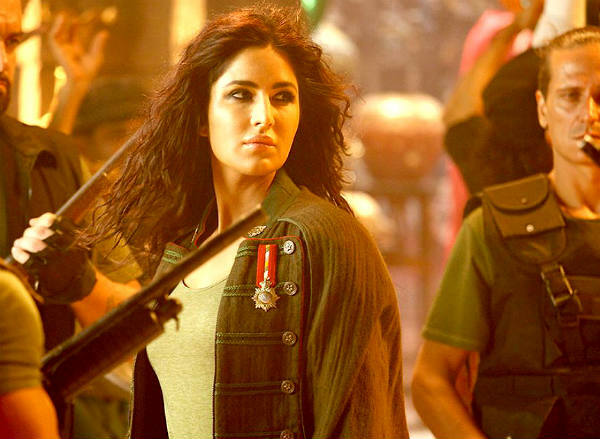 Did you face any flak in Pakistan for doing a song in Phantom? Absolutely yes. People are still texting me and messaging me on Facebook, criticising my move. But, as I told you, art and creativity know no boundaries. And I really thank India. Please convey this to all fellow Indians that irrespective of the bitter relations or worse situations, they have always supported the artists of Pakistan. I am not new. They have always appreciated our art and they have always been welcoming towards our art. 1. Music to you is - balm to my wound. 3. Best compliment you ever received - A smile that a man on a traffic signal gave me after recognising me for my work. Vineeta brings Bollywood fun and intricate showbiz details to Catch/Speed News. 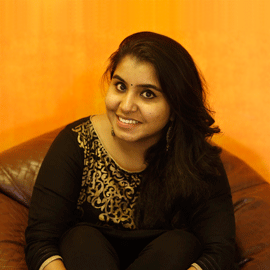 She has worked with IndiaTV, Zee News, and is here to provide Catch readers with the best of 'quality entertainment'. A Delhi girl, Vineeta pursued BMMMC from I P College for Women, Delhi University, and craves to know more all the time. When she is not indulging in a serious cinematic discussion over a film she just watched, Vineeta is either reading a fantasy book or polishing her artistic skills.